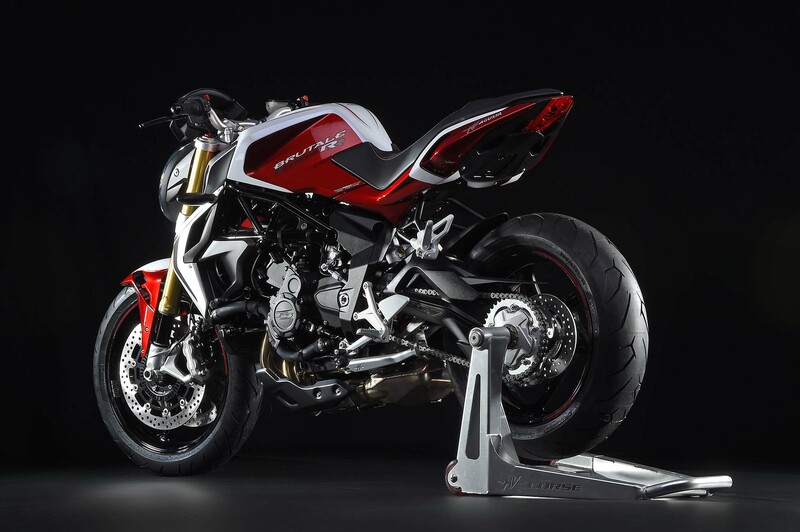 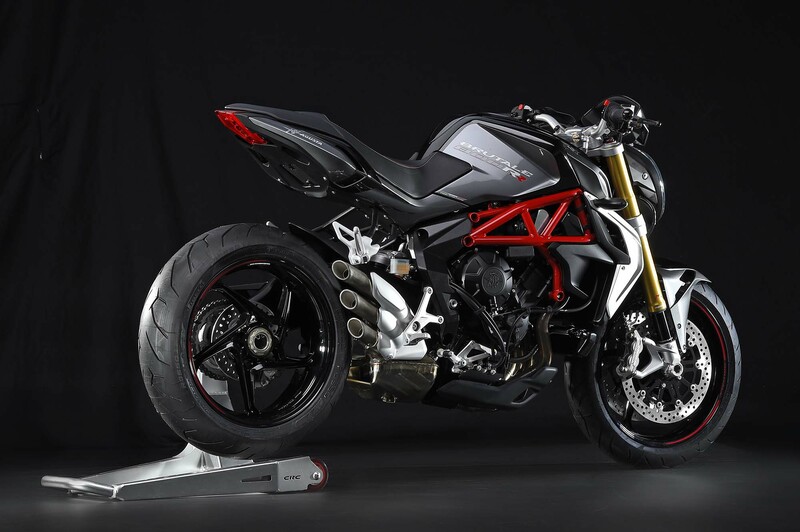 Along with the new Dragster RR, MV Agusta has debuted the Brutale RR, ahead of the EICMA show. 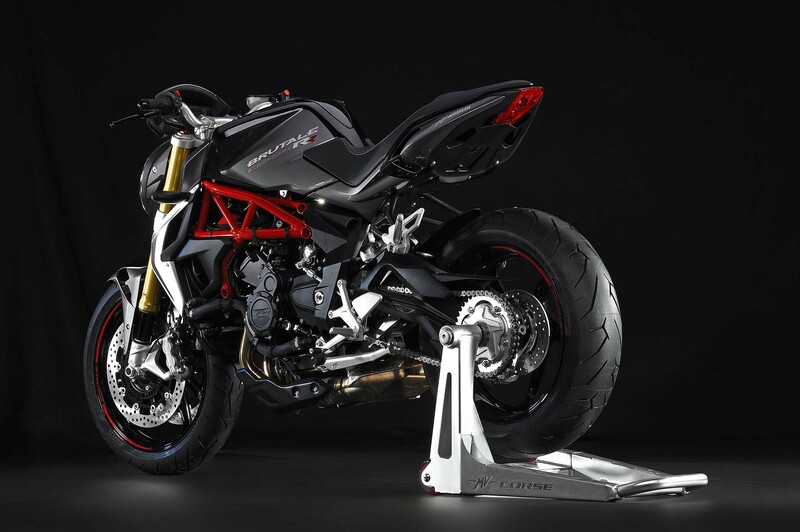 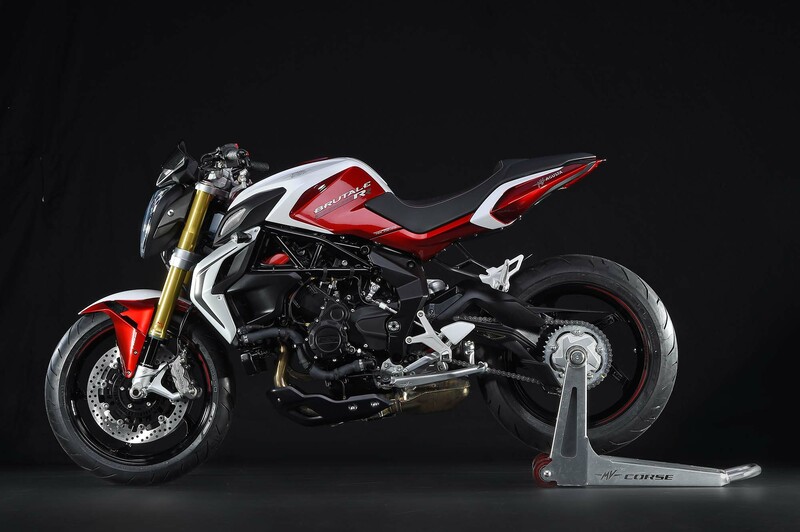 Like its hot rod cousin, the MV Agusta Brutale 800 RR gets a 15hp increase, which makes for 140hp at the 13,100 rpm peak. 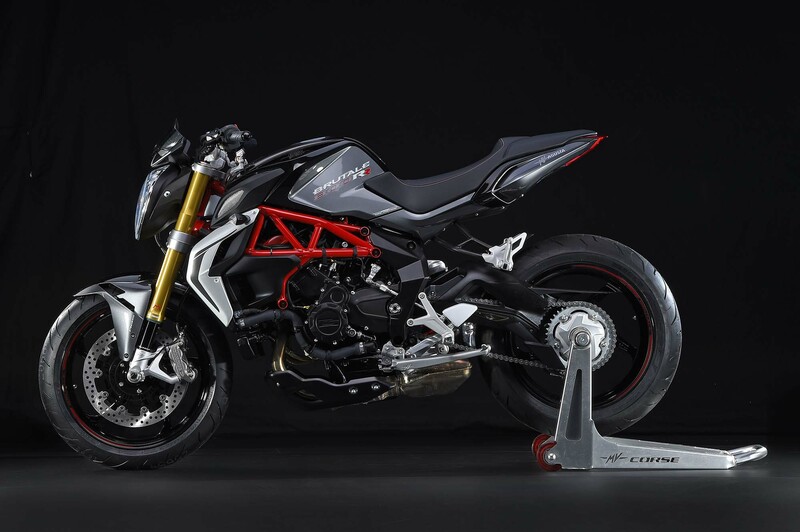 A very peaky motor indeed, maximum torque arrives at 10,100 rpm at 63 lbs•ft. 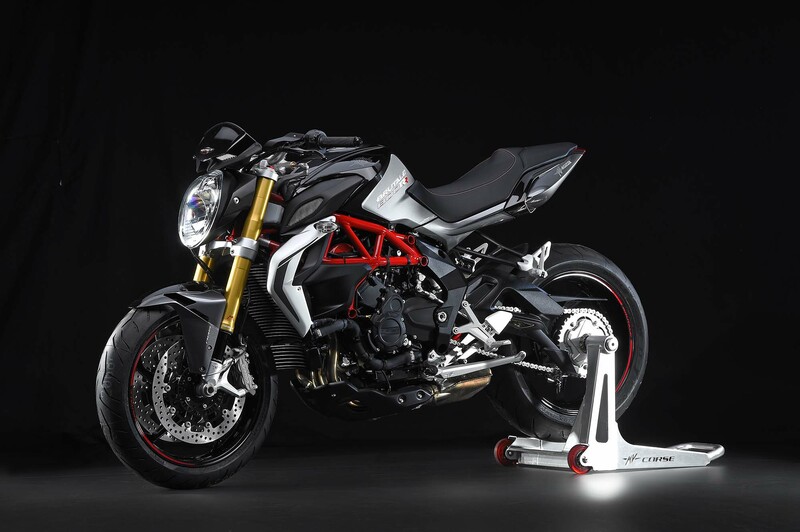 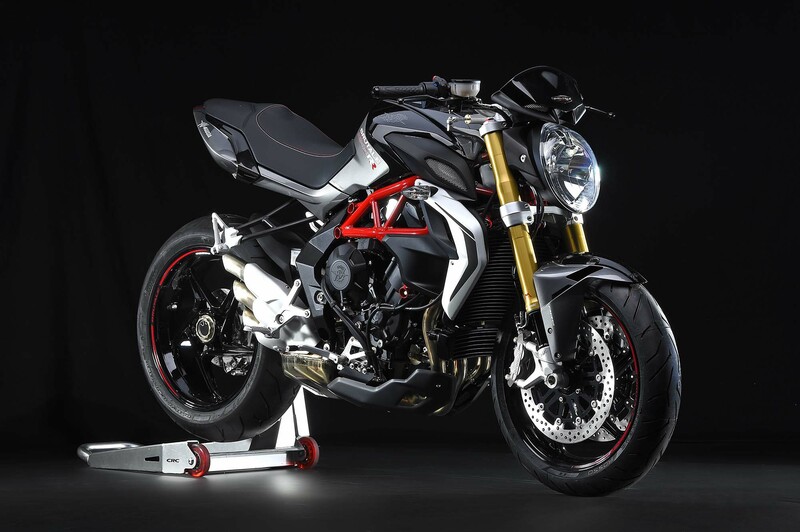 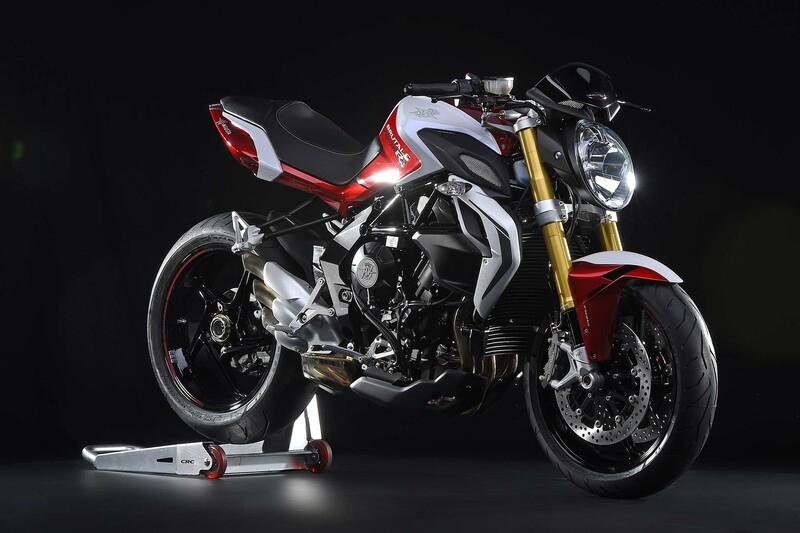 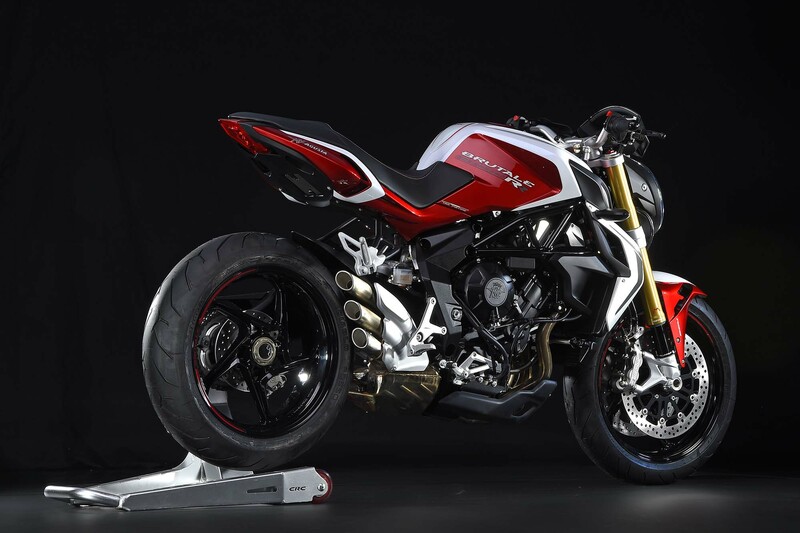 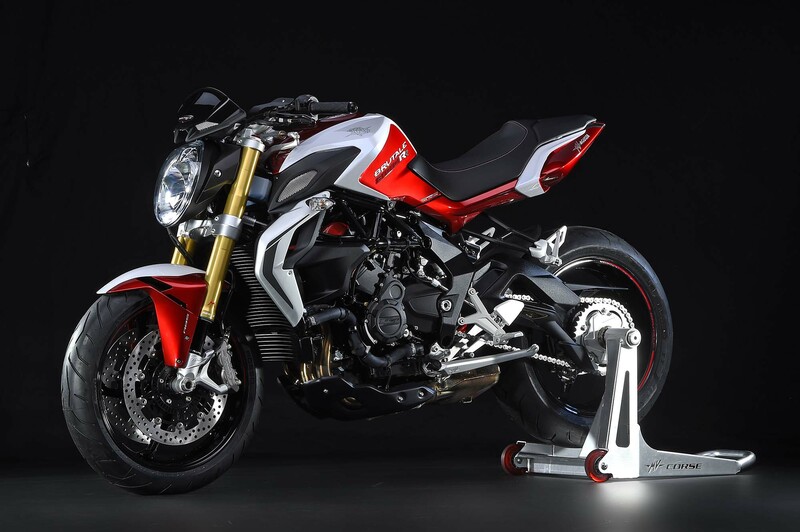 The Brutale RR also features the MVICS 2.0 electronics package, which first debuted on the still unreleased MV Agusta Turismo Veloce. 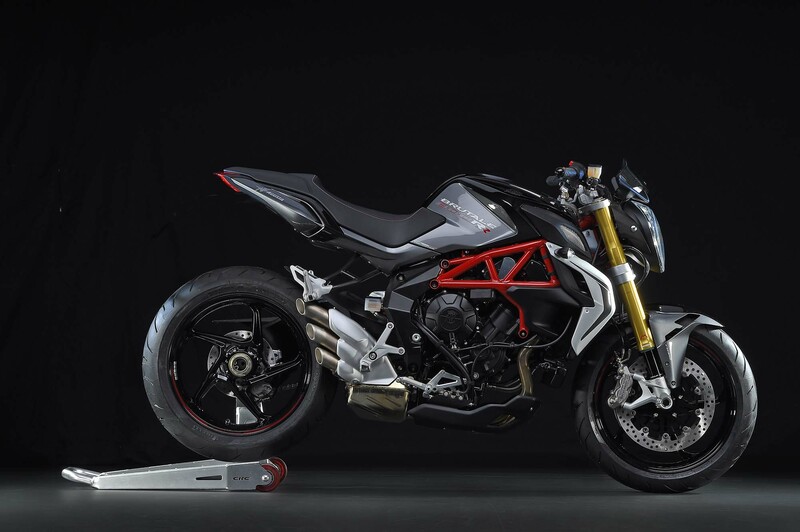 An update to the already robust MVICS package, the key feature in the 2.0 revision is the quickshift operation, both for upshifts and downshifts. 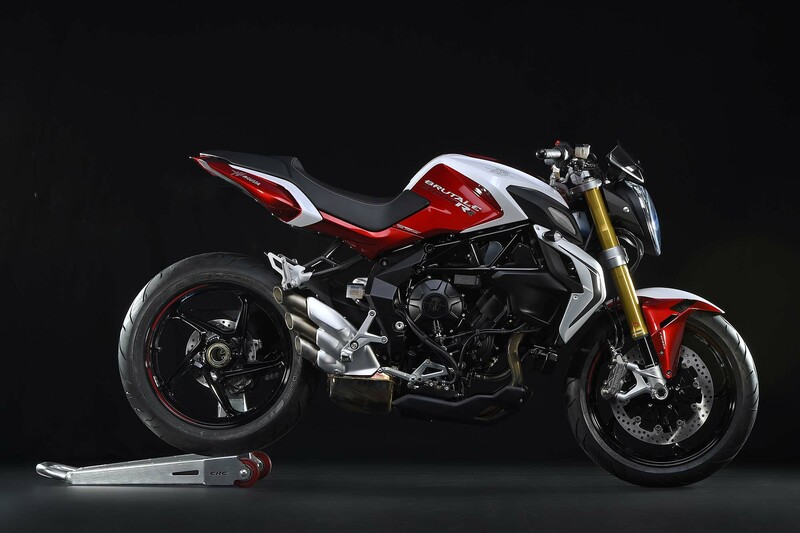 Equipped with EAS 2.0 and ABS as standard, we see the Brutale 800 RR priced at a modest €13,980 for the European market, while the similarly equipped MV Agusta Brutale 800 EAS ABS has a €2,300 price advantage, at €11,680 MSRP.